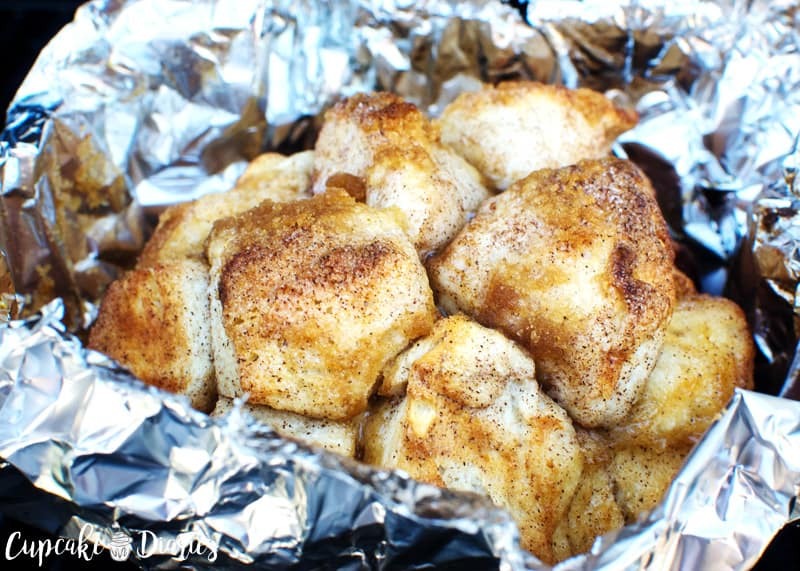 Perfectly sweet and soft monkey bread baked in tin foil! 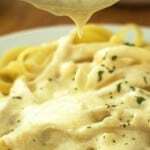 This recipe is great for camping or grilling. Summertime means outdoor fun like camping and grilling! 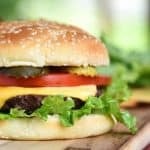 We love to grill and when we do get the opportunity to go camping, we love making meals and treats over the campfire. 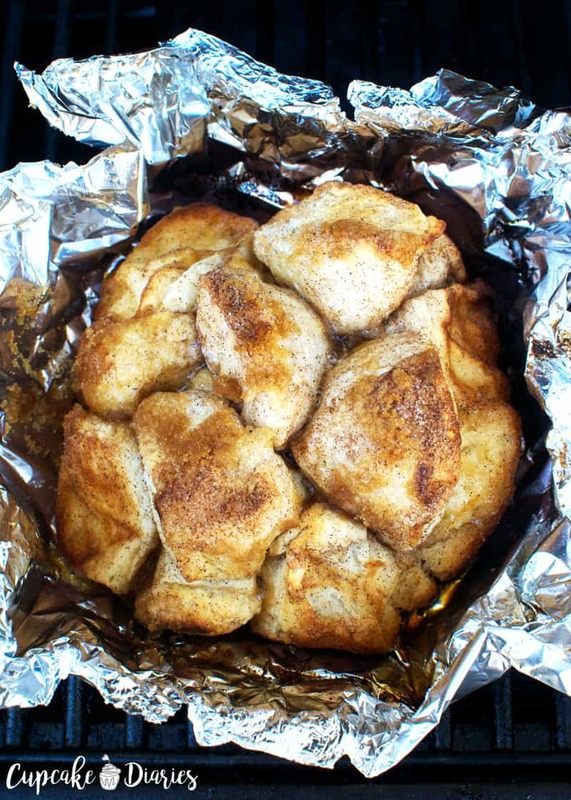 This recipe for monkey bread made in tin foil comes from my friend Jesseca’s cookbook, Foiled! 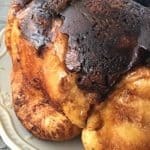 This cookbook includes meals, desserts, and more that you can make in tin foil over your campfire or on the grill. Whether you love camping or you prefer to stay home and grill, this cookbook is perfect! We do a lot of grilling and this cookbook has been perfect for that. I love being able to throw ingredients into tin foil and throw it on the grill to do the work. We have some camping trips planned this summer and I can’t wait to take this book along with us! My family and I have been going through Jesseca’s cookbook and planning our grilling menu. I had each of us choose what we want to make from the cookbook next. 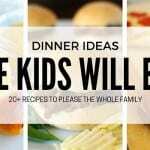 My middle son chose Cheesy Garlic Bread, my oldest son chose Tin Foil Pizza, my husband chose the Hot Ham-and-Cheese Sandwich, and I chose the Maple Bacon Rolls. I can’t wait to get going on our choices! This cookbook is so much fun. 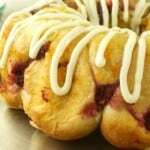 On Sunday evening we made this extra yummy Tin Foil Monkey Bread. It was super easy to make and we cooked it right on our grill. Then we ate it off the grill! 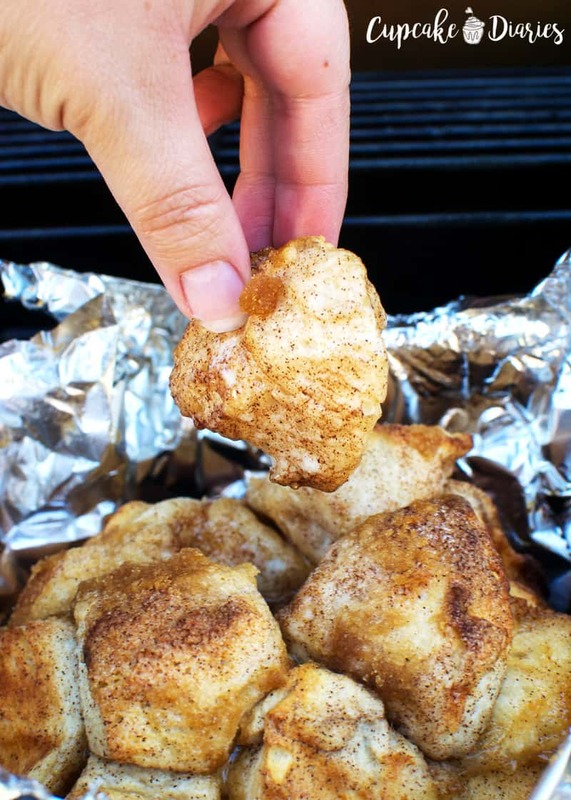 We spent time together in the backyard as a family and picked the individual pieces of monkey bread right from the foil. It was so much fun! Prepare 2 tin foil sheets by spraying with nonstick cooking spray; set aside. Stir together the sugar with the cinnamon. Cut each biscuit into 4 pieces and roll into the cinnamon mixture. Divide biscuit pieces between 2 packets. Cut butter into small cubes. Sprinkle evenly between the two servings. Sprinkle with brown sugar and seal tightly by folding up edges. Cook on a grate over hot coals 20 minutes or until the biscuits are cooked through. Turn frequently for even cooking. 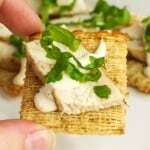 This is such a fun summer recipe! We absolutely love it. 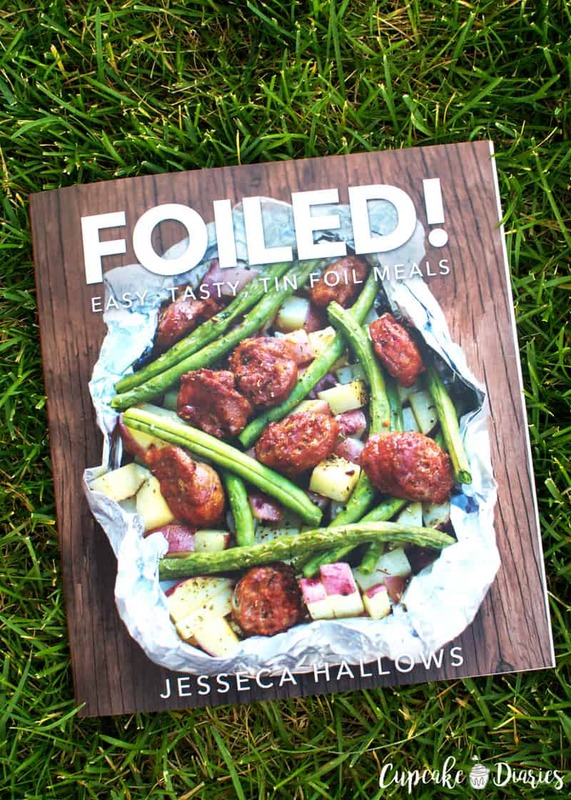 You can get Jesseca’s cookbook, Foiled!, on Amazon Prime. 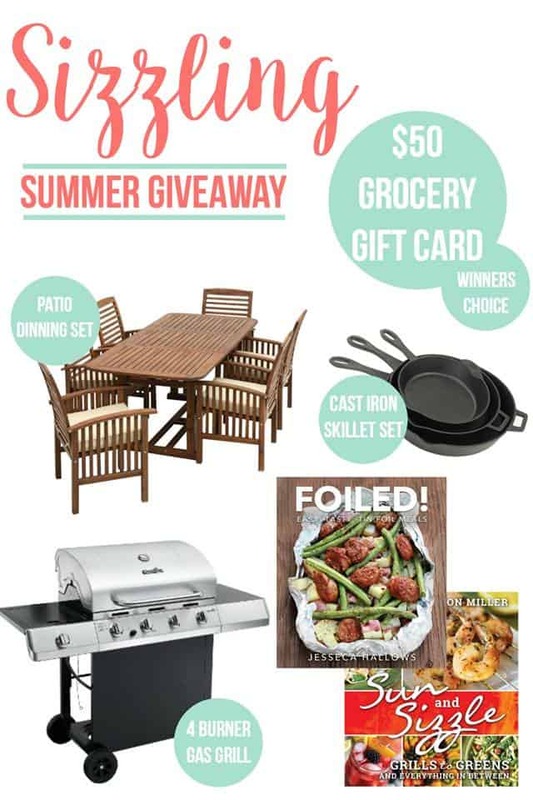 A lucky reader is going to win quite the summer prize package! 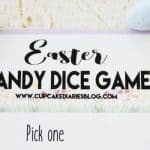 Simply fill out the Rafflecopter below to enter. 1 copy of Foiled! 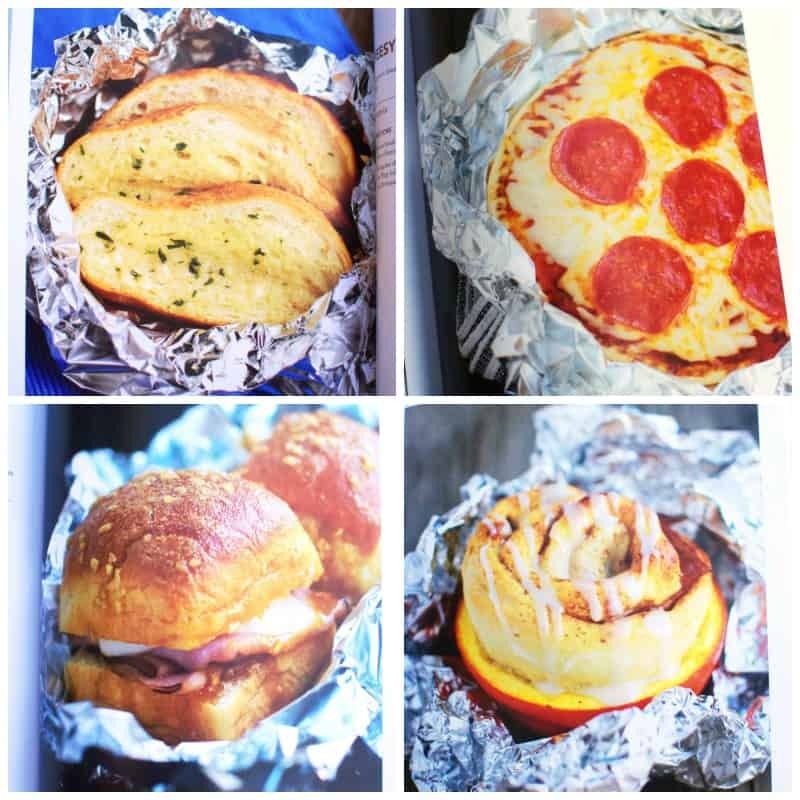 Easy, Tasty, Tin Foil Meals. 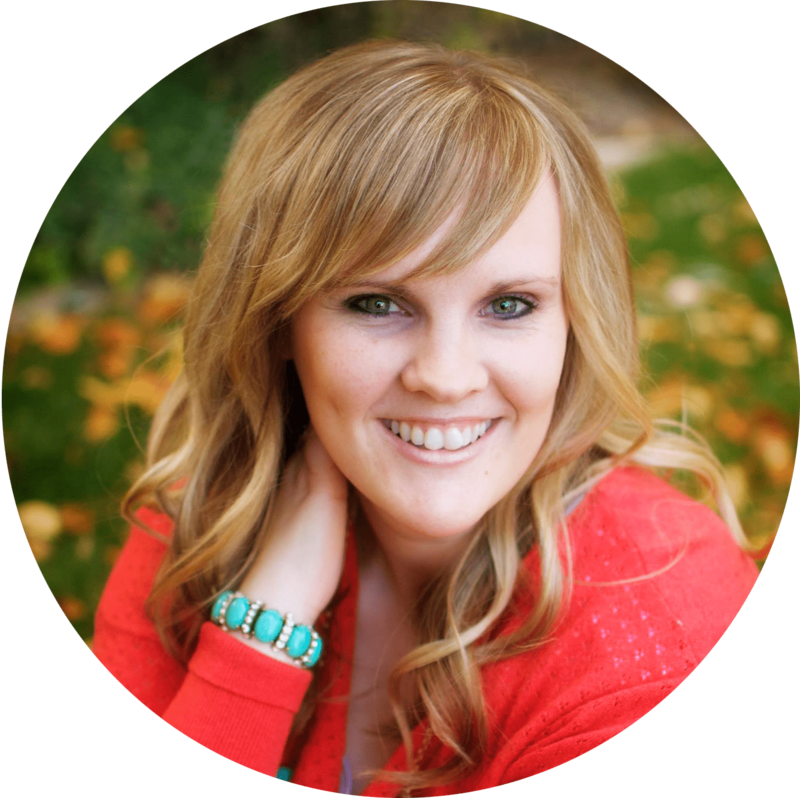 A special thanks to all of the participating bloggers who have made this giveaway possible!